the other day i assisted the stylist on a shoot for 7×7 magazine‘s fashion issue coming out in september. it was a logan’s run themed story (the whole issue is also science themed) so we had the models in nerdy 70s sci-fi outfits and we shot the whole thing on location at SLAC, the stanford linear accelerator. although many of us still don’t know what goes on there…it’s something about smashing protons to find out what makes them up….we think. they discovered quarks here, as well as z bosons….yeessssss. we shot inside the accelerator building, which is basically a two-mile long hallway full of important looking equipment that house a laser under the ground which shoot the particles up to a high enough speed to smash them at the end of the tunnel (almost the speed of light!!!). we were also in an old, abandoned facility that is now used for parts for the new facility they’re building next to it. it looked like the hatch in lost! but above ground. complete with abandoned sci-fi looking stations with argon gas knobs and an emergency button, notebooks still left open with grids of numbers and notes, and a clock stopped at 1:25 and 14 seconds. here are some joyous photos from the internet, b/c i left my camera in the car. ill post the finished photos in september, can’t wait! 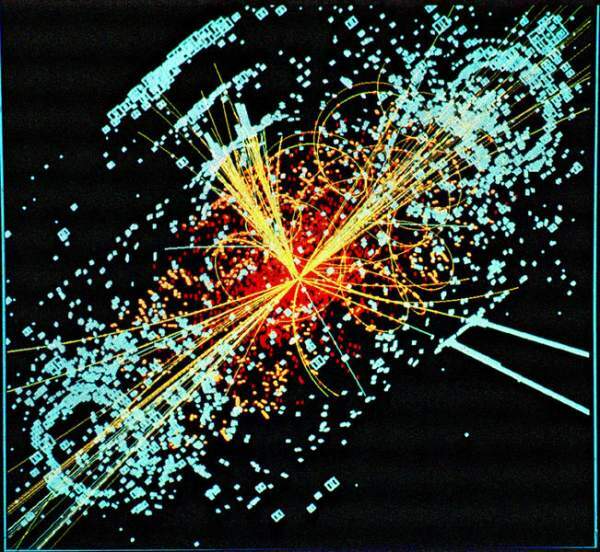 decay of the higgs particle! This entry was posted on July 25, 2008 at 4:13 pm and is filed under BIG NEWS, Everything. You can follow any responses to this entry through the RSS 2.0 feed.